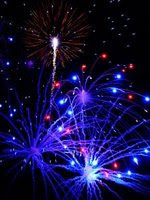 WELCOME TO MY MONEY MISSION ONLINE: 10 Fabulous Finger Foods for the 4th Of July, 5 Cool Salads, and More!! 10 Fabulous Finger Foods for the 4th Of July, 5 Cool Salads, and More!! Hi There!! 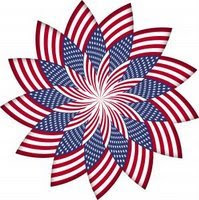 Tomorrow is the 4th of July, and because I won't be around (teen son gets to play with the band, in the Small Town next to My Small Town,) so I will be MIA! HAHA! So, I am moving my Shout Out Saturday to Friday! WOO-HOO!! Ever wondered about the origin of the 4th of July?? This is a great site, apples 4 the teacher, that gives a brief refresher course on just exactly WHY our country remembers this day! Have a wonderful 4th, A.Marie! So glad you liked the 4th of July ideas. Thanks for the linky love also! Thank you for all the info. And I'm loving the new template! Good job and very eye appealing.